We're going to interrupt our usual Sunfish coverage to pay some attention to the other small boat fleet at Massapoag, the Lasers. After going virtually extinct last season, the Prodigal Son Laser Fleet has returned. Last week, the Lasers outnumbered the Sunfish by about 2:1, with Massapoag Sailors being joined by sailors coming from as far afield as Duxbury and Aquidneck Island. They also brought a breath of fresh air, running the infamous "Harry A" course, all the while coordinating starts and sharing the course with us Sunfish. Among the fleet this weekend were two of the most prominent Laser bloggers on the internet, Judy Krimski, author of the Center of Effort sailing blog, and Derek Stow (better known to the online sailing world as "Tillerman"), author of the "Proper Course" sailing blog. Please take some time to become regular readers of their blogs, you'll be better sailors for it. Derek posts "Proper Course" entries on a nearly daily basis, offering entertaining, irreverent and always insightful observations about the Laser and small boat world. 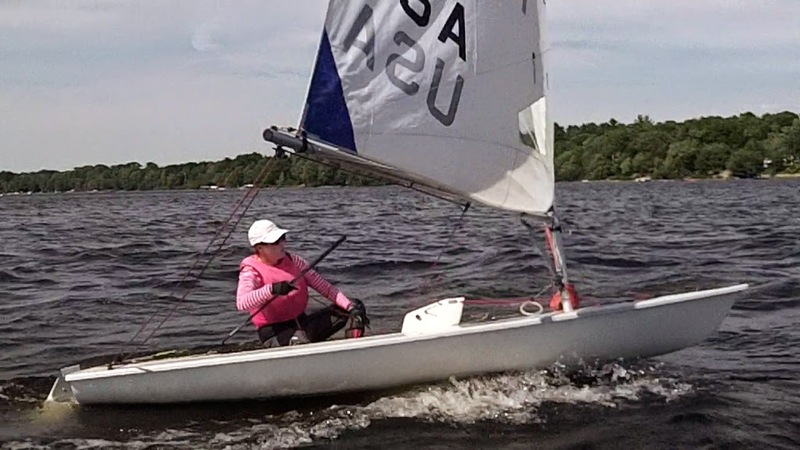 Judy's "Center of Effort" blog is a bit more technically oriented, highlighting sailing techniques, tips and tricks to make your Laser (or any small boat) go faster. Both blogs are on the required reading list for any small boat sailor. Both Judy and Derek chose to write about their experiences at Massapoag this week. "I will not capsize to windward. I will not..." This is a chant lake sailors repeat to themselves. That's because sailing on a lake is akin to running a minefield. Auto tacks are common as the breeze will drop down out of nowhere. Capsizes to windward are common until sailors get the hang of tacking really really fast." "They sail Lasers there on Saturdays""They sail Lasers there on Sundays" "They let ME sail there". 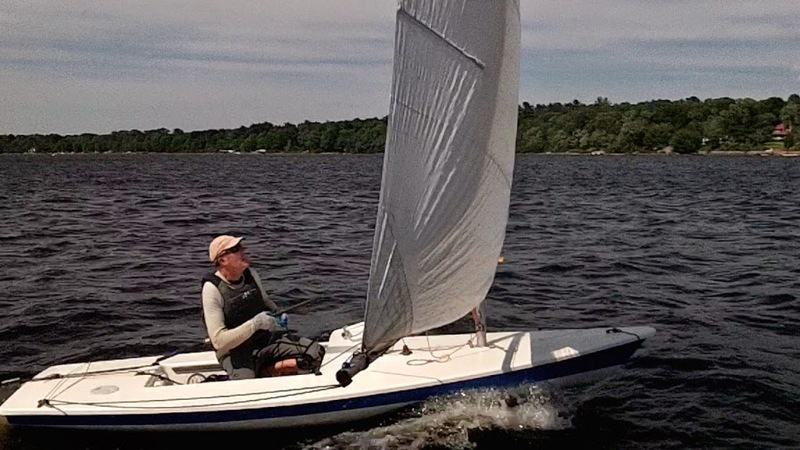 We at Massapoag Yacht Club would like to give a big thank you to the entire Laser fleet for coming home, and an especially big THANK YOU to Judy and to Derek for writing such kind words about our club and our lake. We would also like to with Derek a belated happy birthday, a birthday which he chose to spend at our club, sailing with his son. We hope to see a lot more of you. Not many people know that Massapog is the Algonquin word for "Muddy waters with big winds and little boats." The wind breaks a lot at Massapoag, so we tend to save it for when we have special guests.